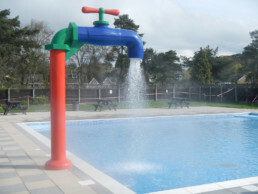 A lido and paddling pool set in beautiful parkland which includes a camping and caravan site. 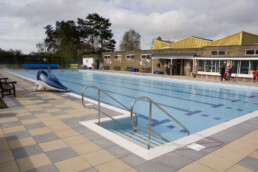 The pool runs early morning swimming and special events including midnight swims. 33m pool and paddling pool, both heated, open seasonally. The park has a children’s playpark, caravan & camping sites, bowls, tennis, cricket, putting and croquet! The pools and park were given to the people of Woodhall Spa by Lady Weigal to commemorate the Jubilee of George V in 1935. They were saved from closure by the parish council and have been managed by a charity since 2014. To improve Jubilee Park and secure the future of the swimming pool by raising funds for incremental improvements. The current appeal is to raise funds to create a wheelchair friendly sensory sunken garden with scented and edible plants and a water feature.